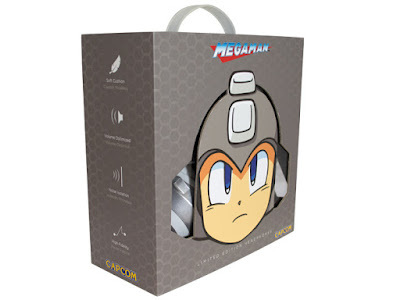 At long last we have our first good look at the Rockman.EXE Nendoroid - in color, no less. It looks great! Unfortunately there's still no word on price or availability. I'm hopeful we'll hear those details in the coming days. For previous images of the figure and accessories, check out this post here. I've withheld posting these rumors until something a little more substantial came along. Lo and behold, Polygon confirms it: Marvel vs. Capcom 4 is happening. "Although Capcom hasn’t officially announced the game, we’ve been told the company will unveil Marvel vs. Capcom 4 this week alongside Sony’s PlayStation Experience event where the Capcom Cup 2016 Street Fighter 5 tournament will be held," writes Polygon. 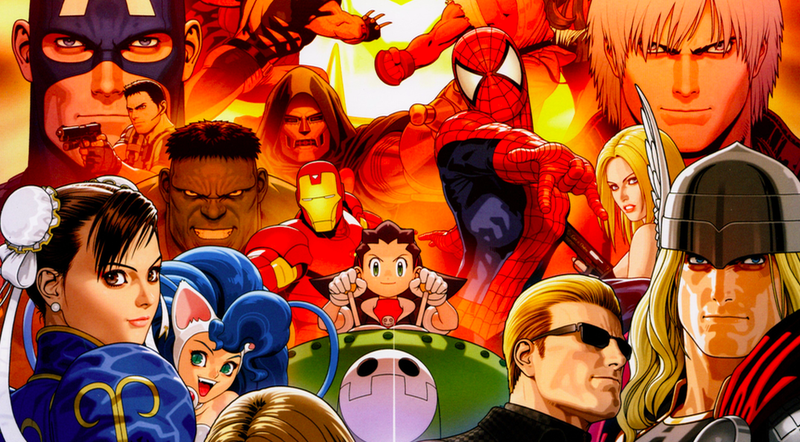 Sources go on to tell Polygon that "fans of the series should expect Marvel vs. Capcom 4's roster of Marvel characters to draw strongly from the cinematic universe that Marvel Studios has popularized — and has full control over — during the past decade." That means fans can expect to see characters from The Avengers or even Guardians of the Galaxy. With a greater focus on MCU characters, this could mean we'll little to no X-Men characters. Polygon's sources did not provide any information regarding which Capcom characters will join the fourth bout. With PlayStation Experience not too far off (December 3-4), perhaps we'll hear something sooner than later. 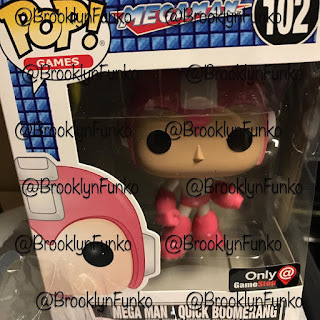 Fingers crossed for more Mega Man! 'Tis the season for staying indoors! This winter, ThinkGeek wants to help you stay toasty with this official Mega Man lounger. 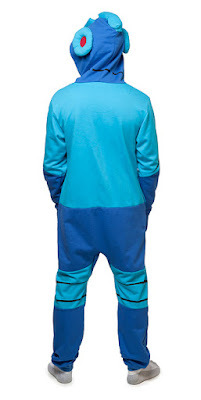 Now you can look cool while you stay warm! Honestly, there's not much else to say than that - it sells itself! Grab yours at here! Navi Time, a popular GPS application for iOS and Android, has teamed up with Capcom for a neat little Rockman EXE experience. For a cool 150 Yen, users can purchase a Rockman EXE theme pack to turn the app into a PET of sorts. 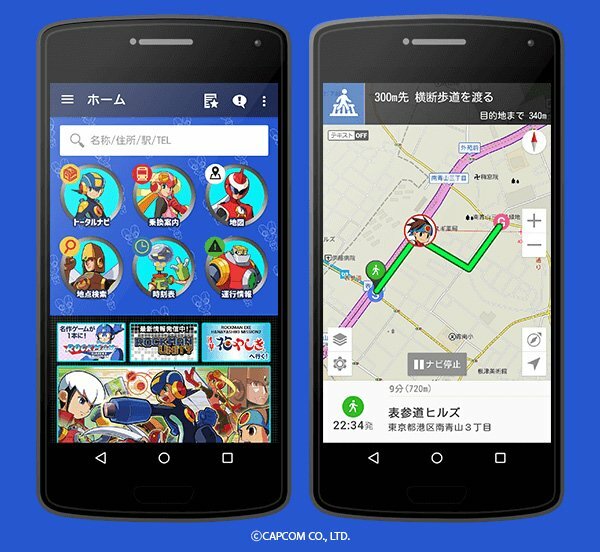 Various characters from the EXE series appear in place of the usual iconography and graphics to help you in your travels. Although Navi Time is available in some markets outside Japan, the EXE theme pack remains entirely exclusive to Japan. And here I thought the tongue-in-cheek "Hanyashiki Style" Rockman.EXE would only appear on t-shirts and mugs. Boy, was I wrong. 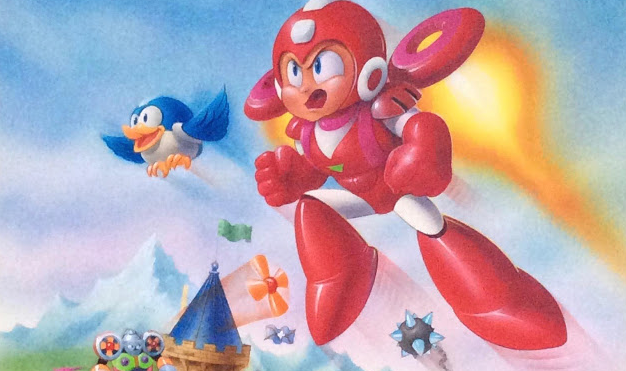 Buyatari and Bronty, collectors of all things video games, shared some truly amazing Mega Man history at the Nintendo Age forums: the original box art paintings for Mega Man 3, Mega Man 6, Mega Man V, and Mega Man X. 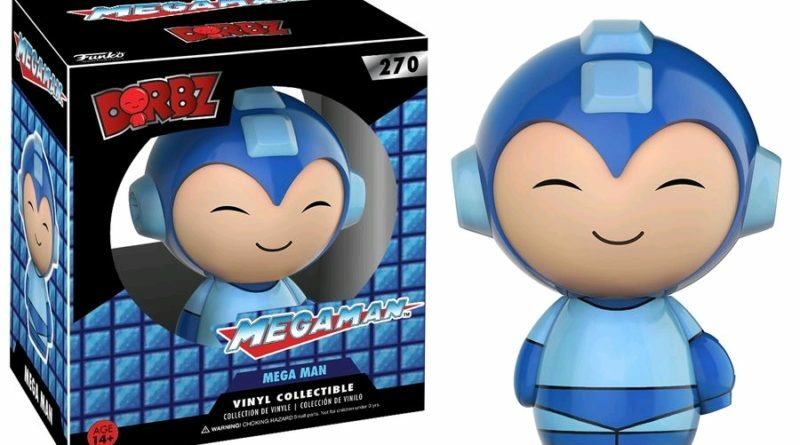 If Pop vinyl Mega Man figures weren't enough for you, Funko just announced a line of Mega Man Dorbz figures. 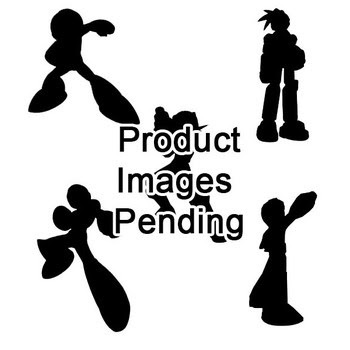 Intended to launch in February 2017, the line consists of Mega Man, a green Mega Man "chase" variant, Rush, Dr. Wily, and Proto Man. Check 'em out after the jump! The question is, do we call it canon? "Hanayashiki Style Rockman.EXE" is the brand-new, commemorative Style Change for the Rockman EXE Hanayashiki Mission 2 event, which kicks off November 26th. 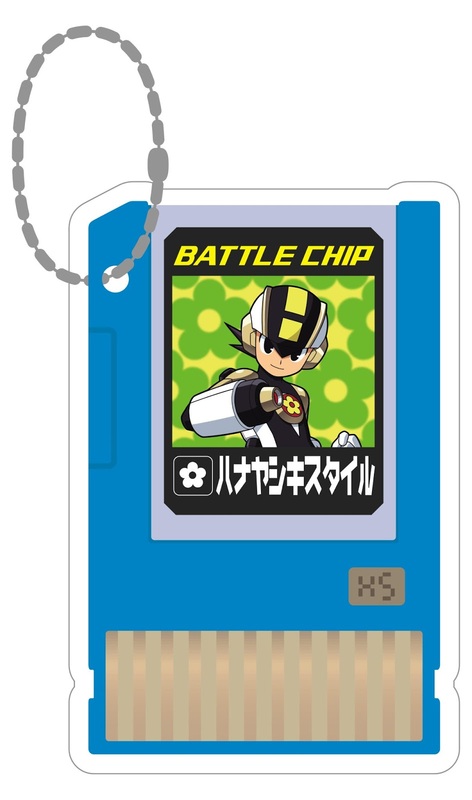 The Style Change will appear on event-exclusive goods and paraphernalia, like this super-nifty Battle Chip keychain. 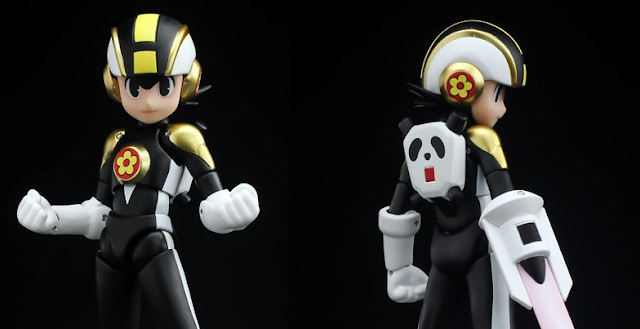 It's based on the image of the theme park's panda mascot. The Hanayashiki event runs November 26 through December 25. Tickets are on sale now. Instagram user Brooklynfunko has outed two new Mega Man pop vinyl variants: black & white "Mega Man Retro" and "Mega Man Quick Boomerang." Both figures are expected to be Black Friday exclusives at GameStop throughout North America. Unusually, these will be sold in a blind box along with other Black Friday-exclusive Pops. Hopefully we'll have the lowdown on price and official availability soon! Not only is it a bit longer than the one we all know and love, but it's in HD too! Thanks to CAPKobun for pointing this out. 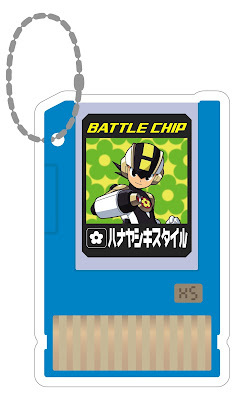 It's not exactly the digital personal assistant envisioned by the Rockman.EXE series, but it's a tiny step forward! This month's e-Capcom exclusive Rockman.EXE 15th anniversary good are mobile phone batteries featuring Rockman.EXE himself (drawn by series artist Ryuji Higurashi). It comes in two flavors: Rockman blue and tottori orange. They run 5,000 yen (about $46 US) a piece. At present, you can only get these from e-Capcom. 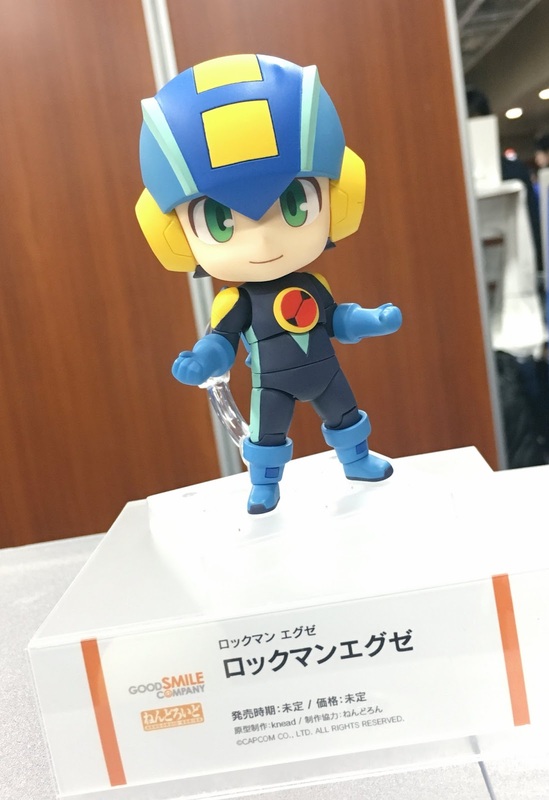 For collectors living outside Japan Nin-Nin Game on occasione load up on these sort of e-Capcom goods. If you're lucky, you'll see 'em there! UPDATE: turns out these are external batteries with a USB cable! 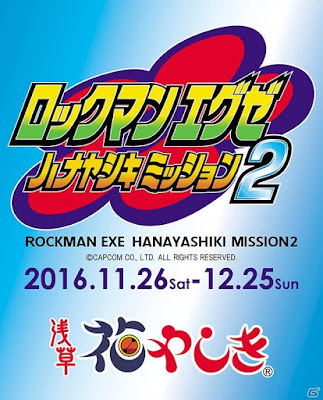 With Rockman EXE's 15th anniversary drawing to a close, Capcom are once again teaming up with Japanese theme park Hanayashiki for Rockman EXE: Hanayashiki Mission 2. The event officially kicks off on November 26th, lasting through December 25th. According to Gamer, the event will be split in two parts for attendees to participate: "Episode 1 - Prevent Panda Car's Runaway!" and "Episode 2 - Defeat the Source of the Runaway Pandacar!" 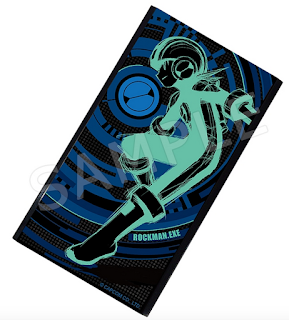 Attendees that clear both events (via stamp rally) will be rewarded with an exclusive Rockman EXE prize. Various Rockman EXE x Hanayashiki collaborative goods and beverages will be on hand for attendees, too. 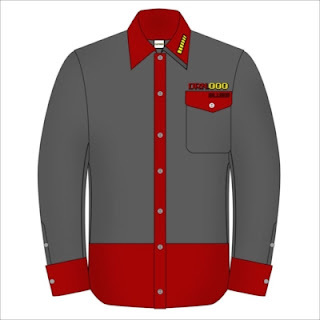 You can get a look at those after the break. Mega Man X3 finally joins the growing library of Super Nintendo Virtual Console titles on New Nintendo 3DS today. The SNES classic will set you back $7.99. Aaaand that should be it for SNES Mega Man games! 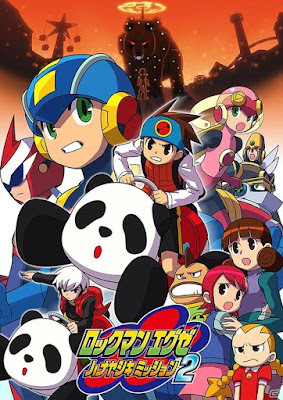 Capcom still has a tight leash on Mega Man Soccer and the Super Famicom version of Rockman & Forte, though. Both games haven't been re-released on any Virtual Console (the former's GBA version did hit Wii U) so I wouldn't count on that changing anytime soon. Who knows? Maybe things will change with the Nintendo Switch's inevitable Virtual Console. 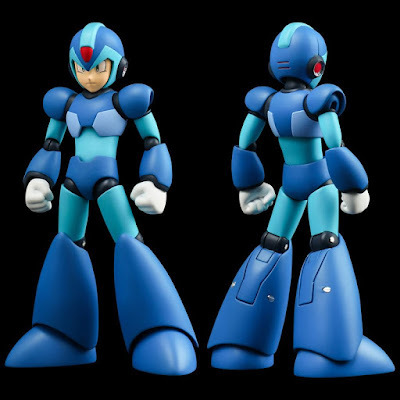 Sentinel's ever-growing line of articulated 4-inch Mega Man figures continues with the original Maverick Hunter himself! Originally outed by Play-Asia several months ago, Emio's silver "Bubble Lead" Mega Man headphones are officially available to pre-order. 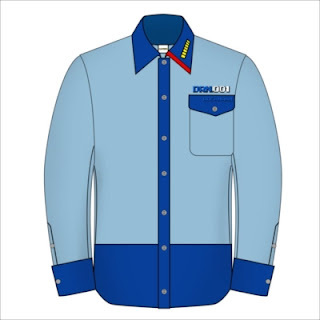 They'll run you $99.00. 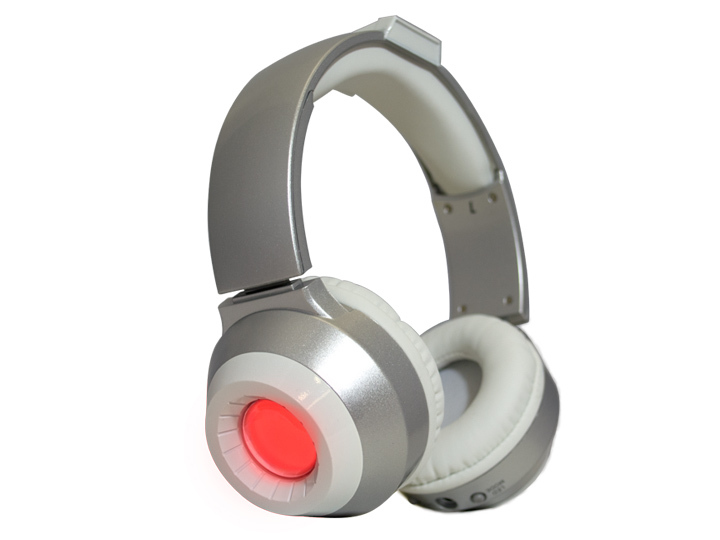 Aside from a fresh coat paint, these are the exact same headphones that previously launched earlier this year. I wouldn't go in expecting improved audio specs. They're not bad headphones, but there are better sounding products out there for the same price. 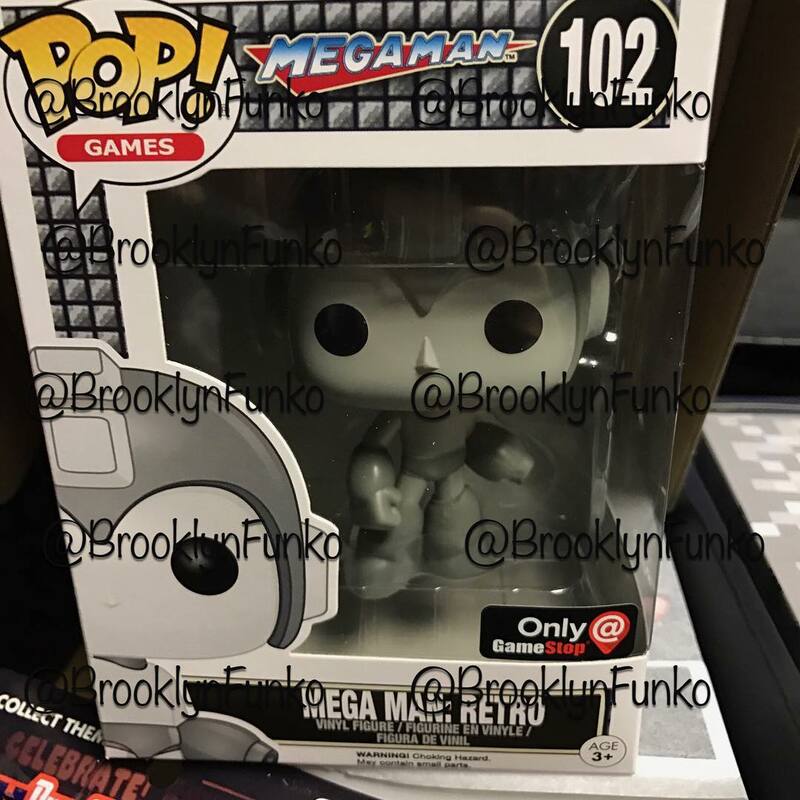 If you're a die hard collector, though, you might want to slip a pre-order in ASAP - only 500 units will be produced. Mega Man Legends' Servbots are quietly making a comeback but not in the way you'd hope. As seen on Capcom character designer Chisato Mita's Twitter, Servbots are headed to the fourth episode of Captive Palm, an otome app about a hot inmate with amnesia. 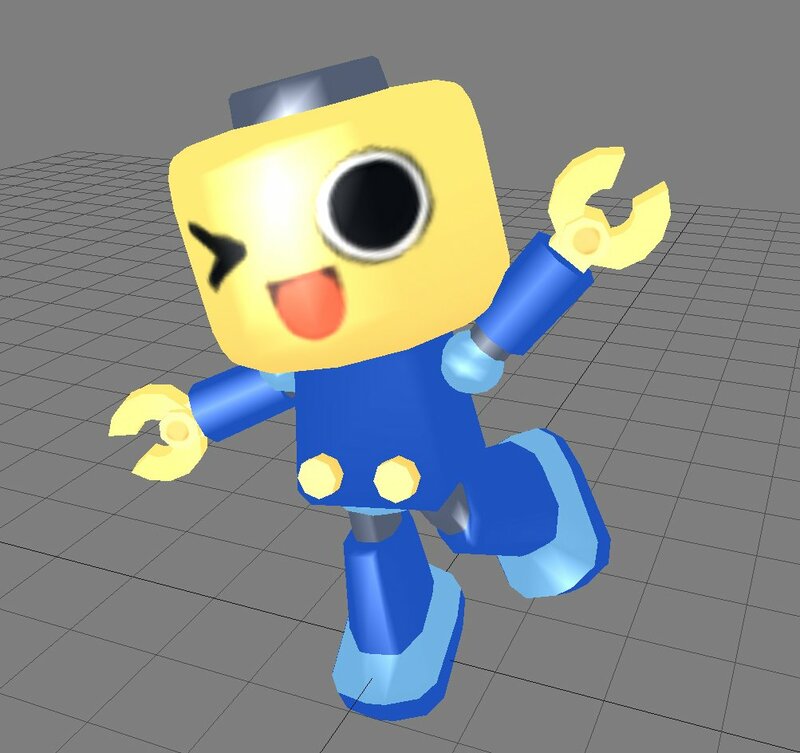 Mita has been prepping 3D Servbot assets since early October. Servbots have cameoed in several non-Mega Man games for nearly 20 years (yes; Mega Man Legends is turning 20). So it should come as no surprise the tradition continues unabated. It remains to be seen how Servbots will fit into Captive Palm's realistic setting, though. Maybe they'll appear as action figures on someone's shelf? 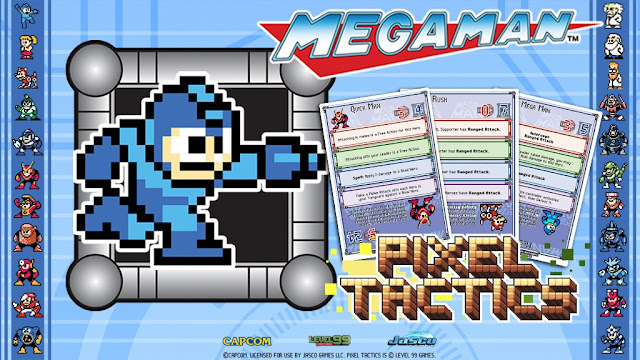 From the makers of the official Mega Man board game, Jasco Games are teaming up with Level 99 Games and Capcom to develop Mega Man Pixel Tactics. It's a 2-player card game inspired by strategy role-playing games like Final Fantasy Tactics, Disgaea, Soul Nomad, and Fire Emblem. A Kickstarter is currently on the burner to help fund the project. It's not live yet, but you can check out an early draft here. We'll let you know when the campaign launches. Stay tuned! 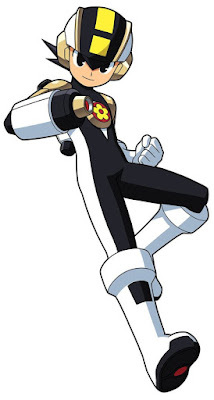 Source: Mega Man Pixel Tactics!